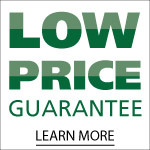 Call (855) 207-9811 for the absolute lowest price on this product. Combining a reinforced, heavy-duty carbon steel frame which includes gusseted sides, caster journals and dual crossbraces, the Invacare Tracer IV Wheelchair is long-lasting and low-maintenance. 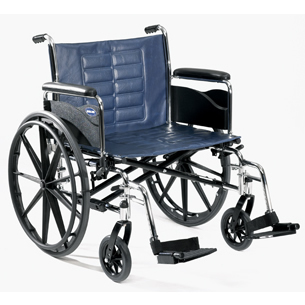 The Tracer IV has heavy-duty inner liners to keep the seat and back from stretching; attractive, silver vein finish; desk-length or full-length padded arms for comfort; 14-gauge crossbraces to add durability and strength; plus it folds to 13" wide for convenient travel and storage. Seat Width - Min 20"
Seat Width - Max 24"
Seat Height - Min 17.5"
Seat Height - Max 19.5"
Back Height - Min 16"
Back Height - Max 16"
Rear Wheel Size Range 24"
Non-Removable Device Adjustable Rear Anti-Tipper 6"
Camber: This is the term for the angle of the wheels in relation to the vertical plane of the wheelchair. 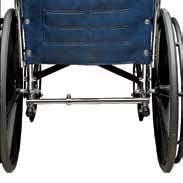 A typical wheelchair has a 3-degree positive camber; sports models tend to have greater positive camber to allow for more user agility during athletic activity. 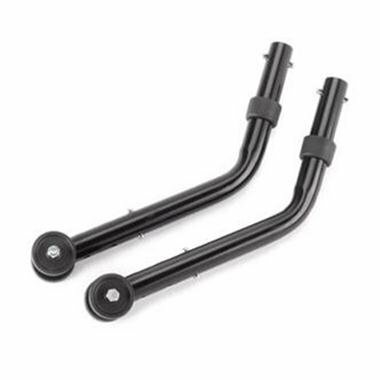 If you are unsure how much camber you require, please call out wheelchair specialists at 1 (800) 251-7250 for assistance before you place your order. Seat Depth: Measure from the most posterior point of your body to the interior of your knee, deducting two inches from the total. 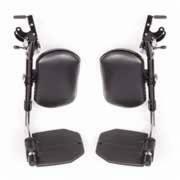 You may require a greater amount of leg overhang to lift your legs during use; if so, consult your rehabilitation professional for guidance on adjusting your measurements accordingly, or speak with one of our manual wheelchair specialists by dialing 1 (800) 251-7250 to get the right fit. Rear Seat to Floor: This is the distance from the ground to the rear edge of the wheelchair's seat. 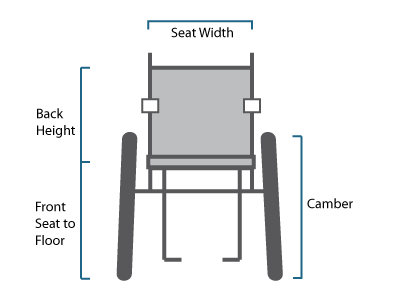 Comparing this measurement to the front-seat-to-floor measurement will give you an idea of the wheelchair's rearward slope - sometimes referred to as the "dump" or "squeeze". 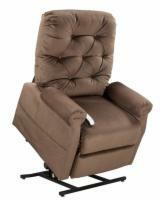 Your individual physical needs and capabilities will affect how steep you wish the rearward slope of the chair to be. Hanger Angle: This measurement specifies how far your toes will extend from your body when seated, and is measured horizontally. 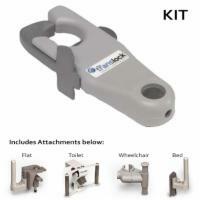 The tighter your hanger angle, the less space you'll need to turn your wheelchair around. 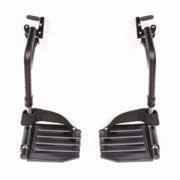 The flexibility of your legs and knees may also impact the hanger angle you will want to choose. 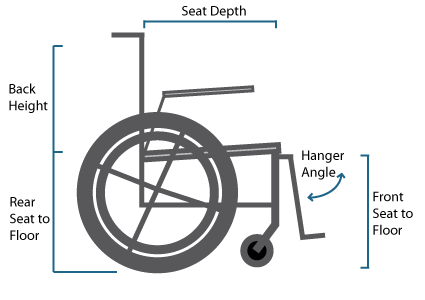 Most wheelchairs have a hanger angle of about 70 degrees, and the farthest hanger angle available on any wheelchair is 60 degrees. Pediatric chairs have a hanger angle of 90 degrees to accommodate the shorter leg length of child users. 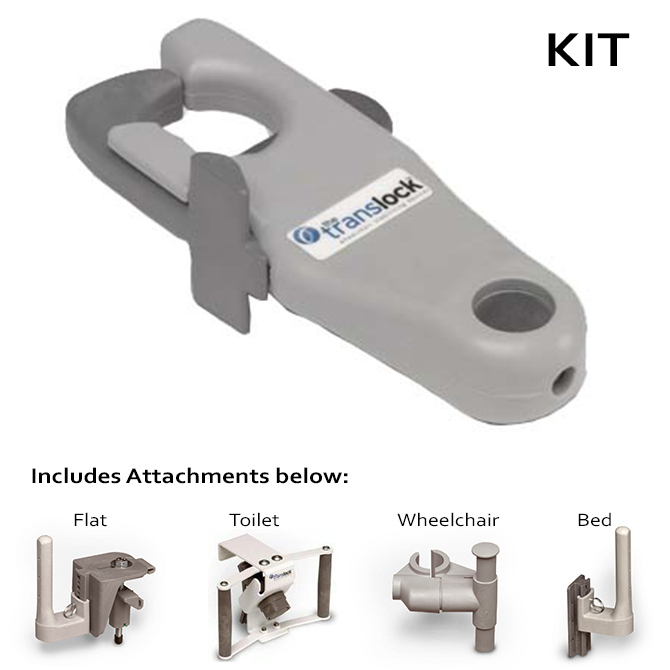 A hanger angle is difficult for a wheelchair user to measure on their own, so we highly recommend calling one of our manual wheelchair experts at 1 (800) 251-7250 to help you find a chair with the optimal hanger angle for your needs.